One Lucky Find -- a 1988 Five-Ounce Gold Panda Proof! 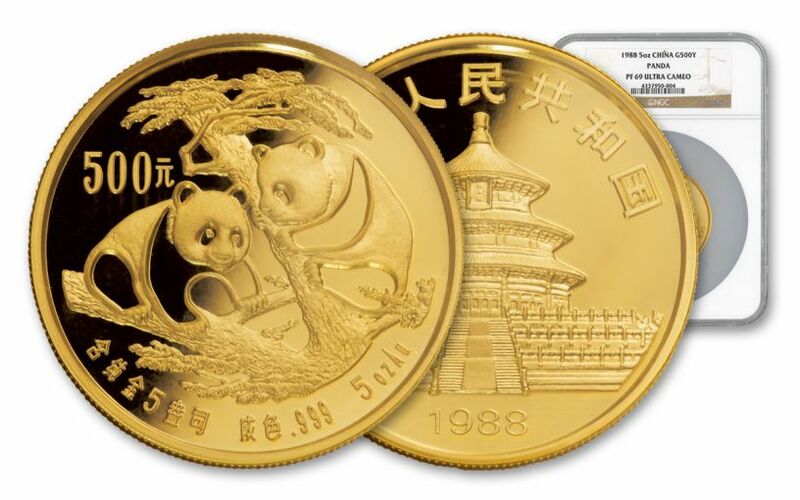 How many Five-Ounce Gold Panda Proofs were struck in 1988? If you look at the official records, the maximum mintage was set at 3,000. However, we’ve recently learned that just 2,400 were actually struck. Now consider how many may have been melted down or mishandled over the years, and that existing mintage shrinks even further! So what caused this incomplete mintage? Was it due to a lack of demand? It’s been said that many collectors ignore this gorgeous 500 yuan legal-tender gold coin due to the inconsistent schedule by which it is released. 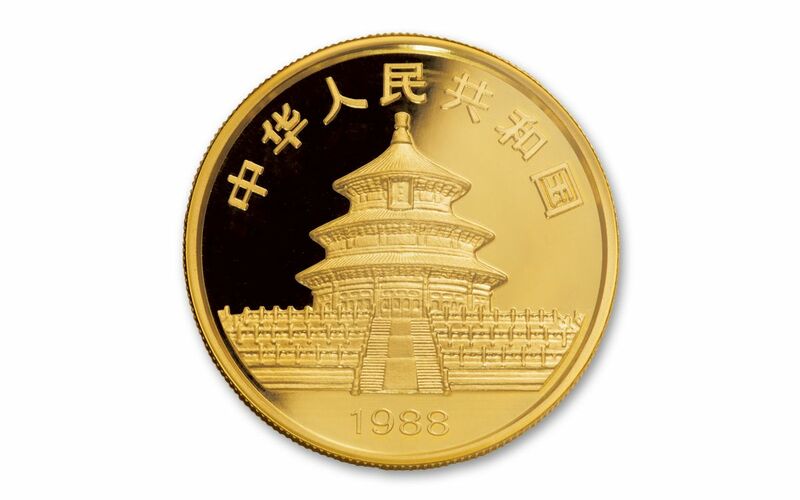 1988 was the second five-ounce, 99.9% gold coin in the series, but then none were struck after that release until 1992 -- and then just for three years before being put on hold again for another decade. 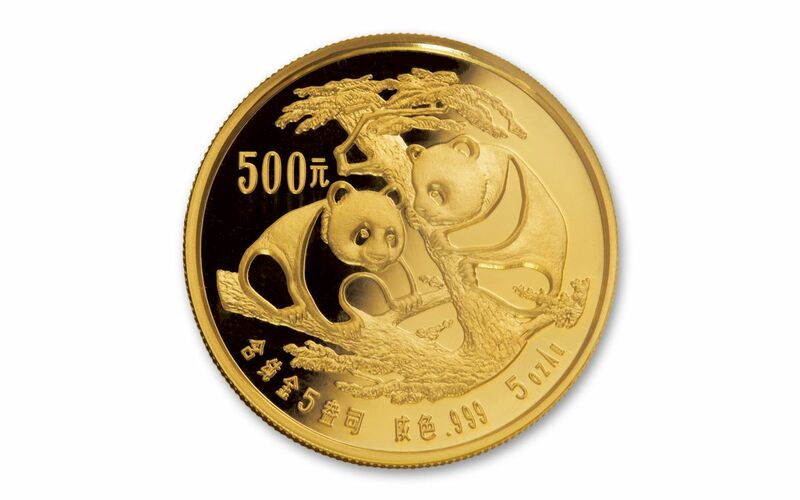 However, this lack of regular release also makes these five-ounce gold coins that much more rare and difficult to find -- especially since they share the common trait of all China Gold Panda Proofs. 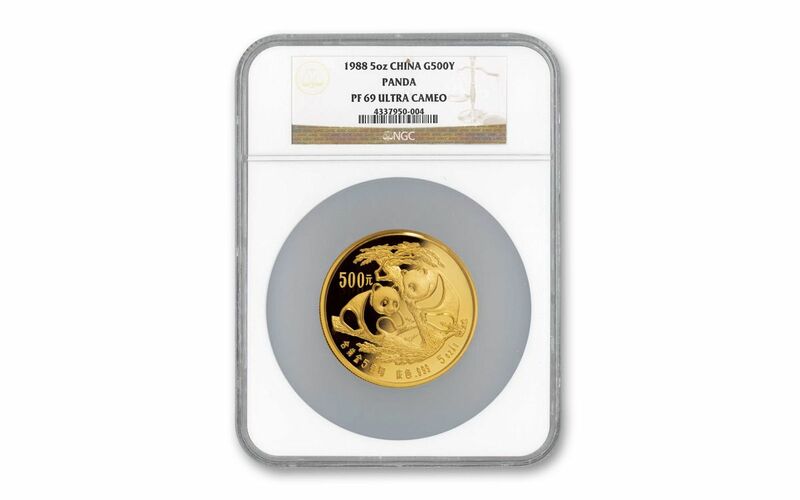 This coin features a one-year-only design on the reverse, and for 1988 the China Mint chose the heart-warming image of two panda cubs playing together in a tree. Its detail is incredible to see struck across the coin’s 60 mm diameter. That 1988 date is also incredibly significant. Because the Chinese word of "eight" has a similar pronunciation to the word for "wealth" and "fortune," eight is considered an incredibly lucky number in Chinese culture. Finding a "double-eight" 1988 Gold Panda graded near-perfect Proof-69 Ultra Cameo (PF69 UC) by Numismatic Guaranty Corporation (NGC)? Lucky indeed!